After not getting any real value at the PPTQ, I decided to enter an EMA draft the following day. I’m not going to lie, I just wanted to open expensive cards that I wouldn’t buy normally. Also I really love this format. Every game I’ve played of EMA has been amazing even if I lost horribly. Anyway, since I drafted twice back to back I’ll do the same summary style twice, but shortened for the sake of time. I played an Esper Reanimate deck. My pick 1/pick 1 was Sylvan Library, pack 2/pick 1 was Wonder and pack 3/pick 1 was Extract from Darkness. My opponent was splashing green for Armadillo Cloak, but I pacified his attacker and stabilized with a Twisted Abomination given Flying by Wonder which eventually got him both games. Game 2 I tried to get value with Nausea (kill more than 2 tokens) letting my life get too low. The mortal mistake was when we were top-decking (which Oona’s Grace gave him an edge in that I could not ignore) I used Faith’s Fetters on his Elite Vanguard the turn before he cast Serra Angel. That was the end of my career then and there. My opponent scooped before we could play. I tried to force UW fliers. My pack 1/pick 1 was Duplicant, pack 2/pick 2 was Sprite Noble and Pack 3 I saw Wasteland and suddenly had no more regrets over my rash decision-making. Anyway I splashed red for Rally the Peasants. We played the mirror even both pulling Brago. I pulled the trigger on Rally the Peasants too early and he rebuilt quickly to crush me. Game 2 he assembled Brago + Man o’ War + Wall of Omens while I was mana screwed. It was an absurd and unstoppable value engine. Did I mention he had a Counterspell to protect it too? I got blown out by Zealous Persecution game 1, but the really kicker was Wrath of God into Winter Orb with him having an Ichorid in graveyard. Game 2 I boarded in Dragon Eggs, which actually allowed me a long more range, but in the end another Serra Angel finished me off. At this point it was 11:30 on a Sunday night so for the greater good I dropped and went home. I have no regrets because I got some value from the drafts. The EMA format is really very fun in my opinion at least. I think I drafted decent decks though again my record really stopped mattering to me after pulling the Wasteland. This is a short print set so there’s no reason not to indulge on it before it becomes rare like the earlier Modern Masters sets. Anyways, thanks for reading as usual. I’m going to an Eternal Masters PPTQ tomorrow. I’m very excited for an opportunity to open some of the best cards in Magic and hopefully have a fun experience. Now there are some things to worry about, namely that this tournament costs a lot to enter and that only a few of the rares/foils pay for each pack. Now the cards that are expensive are absurd (especially cards printed in foil for the first time) so this could be a very lucrative trip. My other regret is missing a Philly Yugioh regional for the first time since coming here. There are many cards I hope to open for EDH (Any Tutor), many cards I’d love to pull just to sell (Karakas) and many bulk rares cards I pray to never see (Call the Skybreaker). Similar to that Standard tournament I went to over a year back, I’m just going to wing it and see what happens. To distract from the reality of moving to a new apartment for the summer I entered both a Force of Will and Yugioh tournament on Sunday. Both were 4-mans so I can’t say either was something to brag about, but here are my tournament reports regardless. I played Red/Black/White Seer of the Blue Moon deck, which sided into Gill Lapis games 2 and 3 against J-Ruler based decks. My basic play was to use either Guinivere or Soulhunt to get Celestial Wing Seraph/Lucifer into my graveyard to revive using the Book of Eibon. My opponent played all of the awakening resonators from TMS (including mainboarded Cherubin the Angel of Wisdom). He had a powerful asset in the form of counterspells, but he frequently used Wall of Wind to make me pay an extra mana rather than timing it for a hard counter. Game 1 he failed to kill me before I cast Celestial Wing Seraph and I ran away with the game soon after. Game 2 I got colored screwed and couldn’t cast any cards until turn 3 (as two Tsukuyomi Nobles attacked me repeatedly). My opponent j-activated Kaguya and quickly got her up to 1100/1300 by awakening his dudes. In the process he managed to drop me to 4 life. I made an error while trying to heal up and my Celestial Wing Seraph’s healing effect got canceled by Kaguya. As a result, I ended up using 2 Lucifers to chump-block said Kaguya for until I had enough will to J-activate Gill Lapis and God’s Art in the same turn. I swung with Celestial Wing Seraph, then used the God’s Art to steal his Lunar Ibis and untap the Seraph to swing again for game. I thought I had no chance against Grimmia pre-board. This deck terrifies me, but after fighting it so many times I know how to attack it. I tried to put a lot of damage as fast as possible to worsen his Whispers From the Abyss. What ended up happening is my opponent J-activated and swung at my Underground Dragger. In response I cast Flame of Outer World on his Grimmia. He had no open will to give Grimmia imperishable thanks to Barrier of Shadows so she/he actually died. My opponent didn’t scoop and instead made play out another 5 turns until I drew into a way to finish him. Game I sided into Gill Lapis with the full sweet of J-Ruler hate. I sided out Sign to the Future alongside my chant-standby creatures. I ended up using Book of Eibon to reanimate Susanowo to get in early damage. However, he was able to Dream of Juliet both of my Barriers of Shadow and J-activate Grimmia. I made a misplay at this instance by using Flame of Outer World to kill his Percevial. I should’ve either passed or held up the Flames to try and kill his Grimmia, though I’m not sure if there was anyway to defeat Grimmia at that point. I stalled for another 15 minutes until his Almerius allowed Grimmia to hit me in the air or 2500 (as he/she tutored all 4 copies of Ragnarok. As expected we started Game 3 in time and a perfect turn 3 Book of Eibon into Celestial Wing Seraph couldn’t finish him off. By going 2-0 round 1 to my opponent’s 2-1, I took 1st place and won a Glimpse of Kaguya Promo. I love Seer of the Moon, though I had a lot of fun playing Gill Lapis post board. That being said this deck felt very imperfect to me. I think Celestial Seraph + Lucifer is the strongest 2-card combo in the format right now (and that Alice Cluster will maintain this fact), though if I wanted to drop Celestial Wing Seraph on turn 3, then why not use Shion? As it stands I’m playing an inconsistent reanimation deck that has the upside of Seer slowing the opponent to the point I may just live to see 5 mana to hard cast Seraph. I attempted to rebuild my Nekroz deck for the current format by adding in Kaijus. It’s been mixed as far as results go, but I’m happy with it and wouldn’t choose to play anything over it. My opponent made a turn 1 board of Naturia Beast + Crystal Wing Synchro Dragon, but I outed it easily with a Kaiju into Interrupted Kaiju Slumber. This allowed me to pull off Trish into Phantom Fortress Enterblathnir for game. Game 2 I Kaleidoscoped into Valk + Clausolas with a Soul Drain as back-up to win. I quickly learned all about Kaiju from my buddy/opponent. Mostly that kaiju vs kaiju is quite difficult. I couldn’t Kaiju his Kaiju so I couldn’t get it out of my hand. I got finished off by the Yosenjus in the meantime. Game 2 I fell into Drowning Mirror Force and lost immediately. I took game 1, lost game 2 to Naturia Beast/Herald of the Arc Light. Game 3 I lost to my own Gozen Match when I couldn’t finish my opponent due to being locked into Castel. I lost game 1 after going too neg outing my own Kaiju. Game 2 I won off a turn 1 Vanity’s Emptiness. Game 3 I bricked and lost to Dark Destroyer+Dark Lady. I learned a lot for how to edit my deck. Nekroz Cycle is no longer worth playing in my opinion. It was dead in my hand every game. 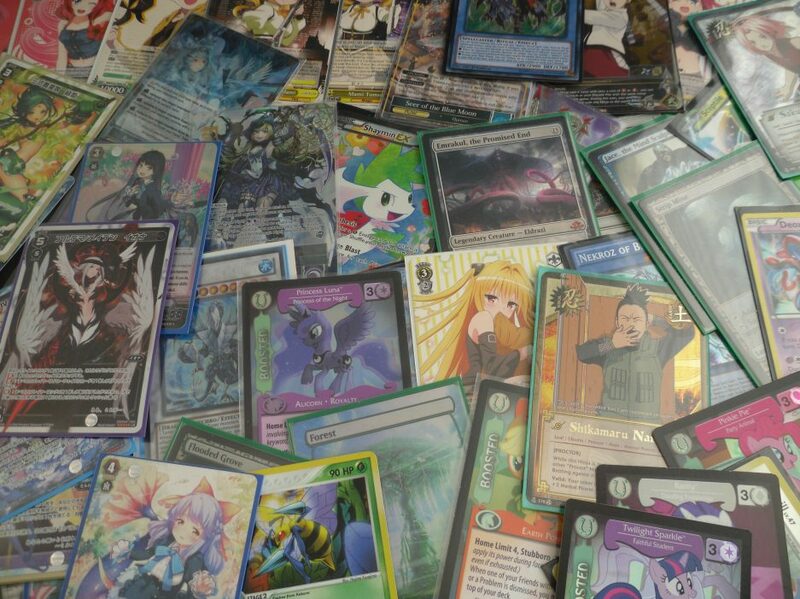 Other cards like Urgent Ritual Art and Dance Princess also ended up being too cute to merit staying in the deck. I still love this archetype so I’ll keep at it. I don’t think I’m getting sucked back into Yugioh (Or at least that’s what I’m telling myself). As long as my deck modifications are cheap I think its fine, which is why I’m running Gadarlas over Gamaciels.